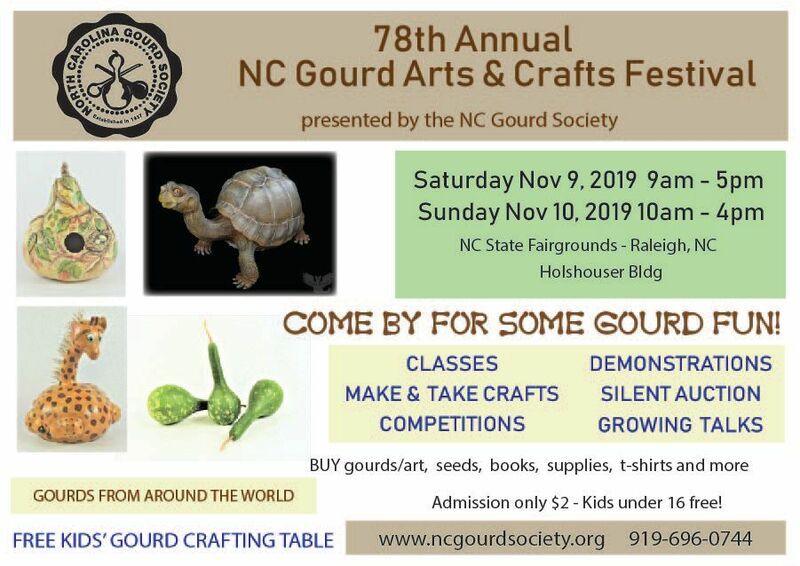 The festival features displays of gourds from around the world, special gourd workshops and vendors of dried gourds, gourd seeds, gourd crafts, gourd art, books, t-shirts and crafting supplies. Great holiday presents. A variety of competitive categories are awarded ribbons and prizes. There is a free gourd crafting table for kids. Details about the festival, a listing of gourd crafting workshops and information on how to enter the competitions are on our website.